Smart Solutions is an innovative recruitment and outsourcing company that provides labour solutions to businesses nationwide. The recruitment services it offers is primarily operated from five service centres in South Wales, and ensures that the right candidate is placed within the right role across all of its sectors. In addition, managed services allow Smart Solutions to manage the workforce within a client’s work place. 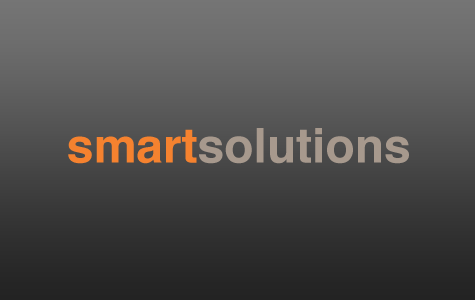 Smart Solutions currently manages services for clients in the Waste and Recycling and Manufacturing sectors. The company also assists with outsourcing solutions which transfers management of the client’s entire operations to Smart Solutions. Smart Solutions specialise in the Waste and Recycling sector with this service. Finally, Smart Solutions are able to provide comprehensive human resources and health and safety support to businesses looking for an efficient, thorough and value for money HR, training and H&S service. CEO Nathan Bowles founded Smart Solutions Recruitment to address what he saw as a significant flaw with traditional recruitment agencies. Working in the waste and recycling industry, he felt that recruitment agencies did not understand what was required of employees in the sector and made little effort to tailor their services. Workers would turn up completely unprepared for the work they had to do which led to significant worker turnover and dissatisfaction. The turning point for Nathan was when a recruitment agent sent him a worker who was entirely unsuitable for a role which required specific skills. When Nathan asked the agent whether he thought he’d provided the best person for the job, the agent said: “You try and do better”. Nathan decided he would and opened the first Smart Solutions service centre in Pontypool in 2007, employing four people in the first six months. Following a rapid expansion plan, the first on-site office outside Wales opened in Walsall in March 2008, followed by four more service centres over the next 12 months and five more at client premises. The firm now employs 98 people and handles over 1,000 temporary staff a day. The development of new services and continuous refinement of existing ones has been a fundamental contribution to the rapid growth of the business. Innovation has contributed to the rapid growth of the company. By reinventing the level of service and commitment that a recruiter should deliver to clients, Smart Solutions is gradually revolutionising the recruitment industry. This drive and innovation has established the company’s reputation within the industry which is having a direct influence on sales. The directors recognised that recruitment can be a high-pressured and demanding job, and wanted to make Smart Solutions is a people orientated business. Smart Solutions also runs an apprentice scheme, open to 16-25 year olds, offering them a chance to join the company as recruitment consultants and be trained to REC standards. Alongside this is a commitment to improving working conditions for the flexible workers it places in jobs with clients. Traditionally agency workers had low motivation and commitment, in part due to the lack of rights and benefits they received. The result was a high level of churn, and increased costs for the businesses which employed them. The Smart Solutions model offers flexible workers not only employment rights such as holiday and sick pay, but added benefits and reward schemes. Since it was founded in 2007, CEO Nathan Bowles has found several opportunities for new businesses within the recruitment industry, including setting up a specialist arm in the railway sector, a professional permanent recruitment service (specialising in manufacturing and engineering and HR and senior management sectors) and most recently a training and HR consultancy service. There is also an upcoming venture in invoicing software. The Smart ‘Group’ therefore now consists of four divisions; Smart Solutions Waste and Recycling, Smart Solutions Recruitment Services, Edgar Stewart Professional Services Recruitment and Midas People Management. The group is uniquely positioned within the market with an ability to deliver an inclusive package of service to clients based of their specific recruitment requirements. The group was formed with the drive to revolutionise the recruitment industry and it is with this drive and innovation that the group continues to develop and refine its services to become the UK leading provider of labour solutions.